ESI were recently called to a Pharmaceutical site where they were having issues with Rupture discs failing. Upon inspection of all the vessels by ESI, it was clear that the Installation, Operating and Maintenance Manual (IOM) had not been followed for the correct installation procedures. CDC rupture discs are precision instruments that must be handled with care, especially during installation, to ensure the rupture discs burst within their correct range. The Safety Damage Ratio on the Sanitrx-HPX is 1:1, meaning if the disc is damaged in any way, the rupture disc will burst at or below (never above) the stamped burst pressure. Photo 1 shows just one of the incorrect installations of our Sanitrx HPX-90 Rupture disc. 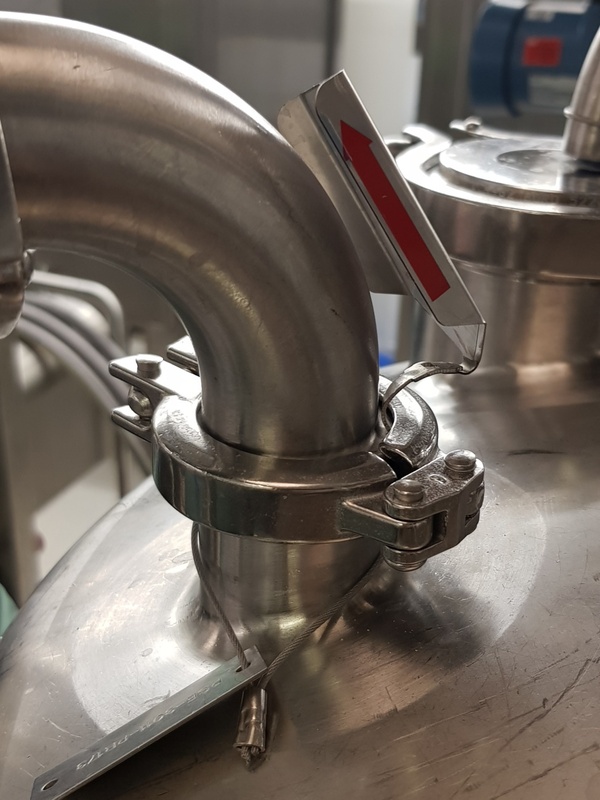 We can immediately see the clamp is incorrect; the tag should not be bent or clamped in any way. 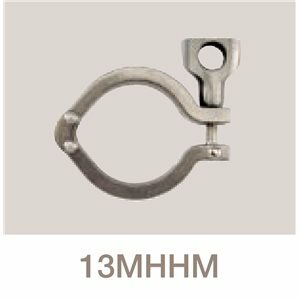 The correct tri-clamp to be used is an oval shaped (13-MHHM Double pin hinge). This clamp, you’ll see in photo 2 allows the tag to freely protrude from the gap, adjacent to the wingnut. These wingnuts should also be torqued to a value of 3.4NM. Correct installation procedures are found here. Corrective action: ESI provided replacement clamps for site and carried out training to ensure this issue would not arise again. Also, ESI advised that all rupture discs (bursting discs) that were incorrectly installed be replaced.